• Double Pulse is both a software created single pulse plus an additional pulse mode that is motor generated This creates an excellent aluminum weld that is closest to a TIG weld in strength, penetration, quality and appearance. • Pre-Programed synergic curves. This welder has a menu of synergic programs. Choose a metal type on the menu. The menu will indicated which wire to use, which gas to use and which program number. Input that program number. 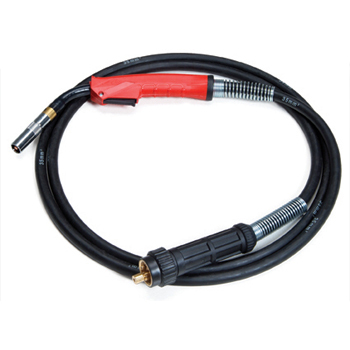 The welder will automatically use the correct amperage, wire feed, pulse, etc. No guess work. • T-Link technology is a blue-tooth connection of welder to welding helmet. For more information click on T-Link Technology. • Double pulse feature vital for welding even very thin aluminum welding. 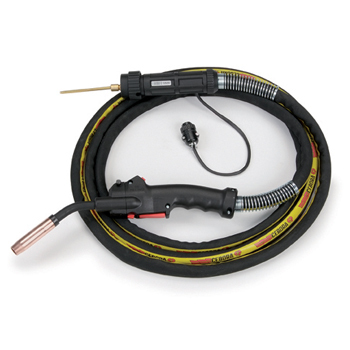 • Use with Optional T-link Technology welding helmet which connects to this welder by blue-tooth. • Download programs updates to keep your welder current to the newest programs. 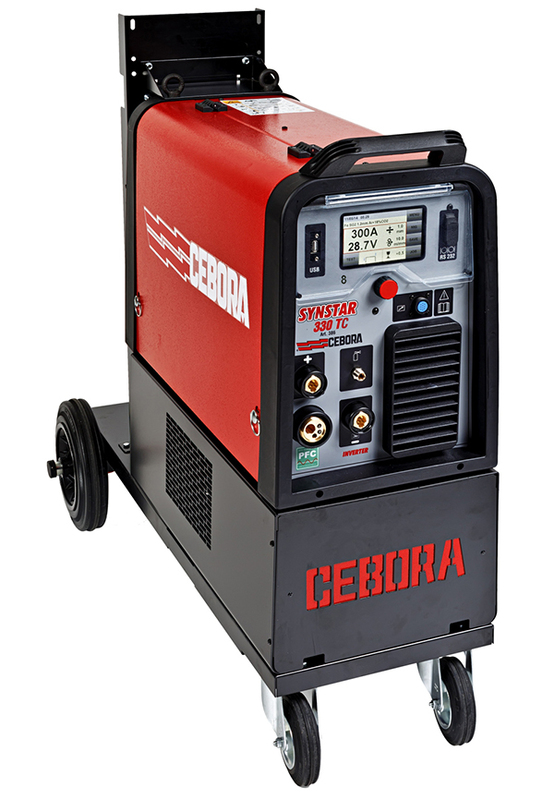 • Pre-set Synergic welding programs for easy set up. • LCD Touch Screen Display. • 400 volt 3- phase at 40 amps 50/60 Hz. • Weight 159 lbs. and Size: 20” x 40” x 38”. • Mounted on heavy duty base with casters. • Max Spool size 300mm/15 Kg 12”/33 lbs.